Obituary for Thomas S. Long | House of Wheat Funeral Home, Inc.
LONG, Thomas S., of Jefferson Township, Dayton, Ohio, born January 6, 1952, crossed over October 18, 2018 at Hospice of Dayton. Thomas was a graduate of Dunbar High School and attended Sinclair College. He was a State Certified Fire Fighter and Emergency Medial Tech. for Jefferson Township for many years. He retired from Ledex-JE after 43 years. He was a former member of the Masonic Order of Ancient Square No. 40; York Rite Royal Arch Burning Bush No. 7; Scottish Rite 32nd Degree; Miami Consistory No. 26 AASR-PHA; Amber Temple No. 107 Shriner. 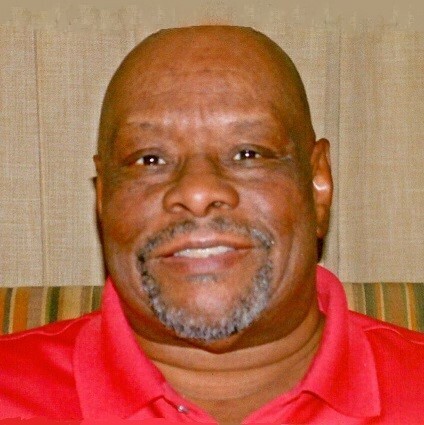 Thomas accepted Christ at an early age, and was a former member of Shiloh Baptist Church, co-chair Trustee Board, under the leadership of the late Rev. Henry L. Parker and Rev. Selwyn Q. Bacus. Preceded in death by his parents, Justice and Ercy Long; sisters, Rosemary Long Robinson, Margaretta Long Gregory; brother, Justice Long, Jr. Left to cherish his memory, a loving and devoted wife of 48 years, Karen E. Long; sons, Thomas S. Long, Jr. and Richard O. Long; niece, Kaungha (Dion) Wright; special great nephew, Jonathan T. Wright; special great niece, Zyaire E. Wright; sister, Mildred Stokes; sister-in-law, Carol A. Long; a host of other family and friends. Visitation 11 am-12:15 pm Thursday, October 25, 2018 at Woodland Cemetery Chapel, 118 Woodland Ave. Family will receive friends 11 am. Burial service 12:30 pm. Rev. John Conley officiating. In lieu of flowers, donations can be made to Hospice of Dayton, 324 Wilmington Ave., Dayton, OH 45420.